To borrow from the lyrics of the popular song ‘buyers are doing it for themselves.’ They are ”standing on their own two feet and…’ identifying their requirements, defining the solution, writing the specification and building the business case. All this often takes place before they ever meet a vendor! 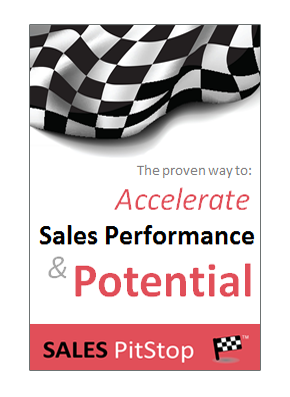 This leaves the salesperson looking for a new role in terms of shaping the buying decision. decisions are being made and the implications for the role of the salesperson. In short, today’s major buying decisions are more structured and sophisticated, so too are the business strategies that underpin them. The present market conditions have intensified this trend, with purchase decisions, involving as little as 20,000 or 30,000 euro, requiring the presentation of a business case that demonstrates not just payback, but also strategic alignment. The public sector is often criticized for wasteful spending and bad buying. However, tabloid news stories aside, the public sector in the United Kingdom, as well as in other countries, is increasingly applying the best of private sector rigor and sophistication in terms of buying. The above process of how the UK allocates money to transport projects offers many lessons for salespeople. So, let us look at it in more detail. For each of these areas, specific criteria are laid out, with the following terms being prominent in terms of the guidelines. This is an interesting list of terms which a vendor should cross check against its traditional proposal content. Buying Is Becoming More Sophisticated. Every day we see signs of an increasingly sophisticated approach being adopted by buyers. Thankfully a growing number of salespeople are responding to this trend with a correspondingly more sophisticated approach to selling. 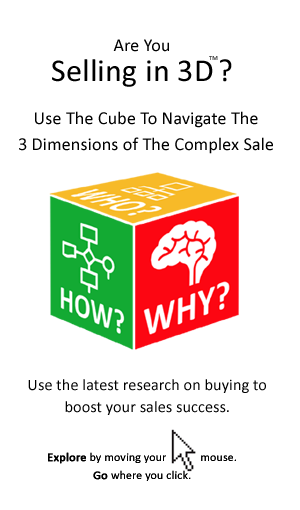 However, as salespeople we can often underestimate just how complex our prospect’s buying decision actually is. More fundamentally, we often only see it as a buying decision, rather than a strategic business decision. The Buying Decision Has Become More Complex. – The totality of choices available to the prospect organization, including do it in-house, or do nothing. – The Tradeoffs, priorities, constraints, as well as the politics and risk associated with various purchase alternatives. – The fact that our solution often accounts for only a small element of the total budget, or the total cost of ownership. – We often see our solution in isolation of the processes and the people dimensions of their adoption. In particular, the degree of change required for success in the prospect’s organization is sometimes forgotten. The Role of the Sales Person Has Changed. The salesperson’s traditional role as the conduit of product information has by in large being made redundant. Why? Because buyers can get volumes of screening type information from a range of other sources that are more objective and less demanding. As a consequence the sales person has to add value elsewhere. He or she has to aid the buyer in making choices and tradeoffs, in reducing risk and in building confidence regarding the business strategy and its success. That leads us on to the second issue – the business decision. It is a Business Decision First and a Purchasing Decision Second. Major purchases are at there core the result of an important strategic business decision. In that way it is the strategy and its associated business objectives that are important, not the purchase per say. With this in mind, the job of the salesperson is no longer simply to convince the buyer that his or her solution is the best. It is not enough to rattle off unique selling points and competitive advantages over other suppliers. Rather the salesperson’s job is to build the prospect’s confidence that his, or her strategy will be a success and that the seller’s solution is integral to it. That means writing a proposal, is less important than inputting to the buyer’s business case. Similarly, it means that a trusted advisor is more important than a salesperson. As salespeople let us focus on how our customers and prospects are buying, adapting our approach to reflect the increasingly sophisticated nature of their strategy led buying decisions.